Free VPN Vs. Paid VPN – Which One Is Better For You? The VPN Lab - Knowledge Base - Free VPN Vs. Paid VPN – Which One Is Better For You? There are very few things better than getting something for free – whether it’s a haircut from the local barber, a bottle of fine wine from a dear friend or a new computer from your employer, it doesn’t matter. One of my friends has a degree in economics and she said that the first rule they taught her is that there’s nothing that people love more than getting stuff for free. So, you want to hide your IP address with an Anonymous VPN service, but you don’t want to pay a lot of money for it. In fact, why should you even consider paying for a VPN service with all the providers offering their services completely free of charge? Well, they are offering their services free for a reason and I’d advise you not to fall for the bait, blindly believing that these free VPNs are just as efficient as the ones you actually have to pay for. If they were, that would mean that some developers found a way to provide all the services of a decent VPN while spending zero resources in the process. Here’s a hint for you: they haven’t. VPNs have quickly emerged as one of the most powerful tools for guarding one’s online privacy. Thousands upon thousands of people are making a shift toward an “online” world on a daily basis and we’d be wise to realize the dangers that accompany this rapid shift. Tools like antivirus programs and local firewalls are no longer enough to keep hackers, network snoops or hell, even your ISP from prying into your online business. In order to properly keep your data safe as it travels over the Internet, you need to use VPNs. And VPNs cost money. The free ones are able to perform basic functions, but do you really want them protecting something as important as your personal privacy on the Internet? You’ve probably heard the sayings: “There’s no such thing as a free lunch,” as well as “If it’s too good to be true, then it probably is.” These sayings are absolutely true when speaking of free VPN service providers – bandwidth, support and hosting all cost money. So even though you didn’t pay the provider any money, you can be sure that compensation will be found somehow. This is usually done by swarming you with advertisements or bandwidth throttling, which is even worse. There are some free VPN providers that even go as far as to harvest users’ data in order to sell the information to potential marketers. If the latter is ok with you, you might want to ask yourself why you are using a VPN service in the first place. If you don’t mind the overwhelmingly intrusive ads and the excruciatingly irritating throttling, then you really don’t need a VPN. Paid users, on the other hand, will receive the fastest and most secure VPN service that technology can offer. First and foremost, a real anonymous VPN service provider that you pay for gives you unlimited speed (up to your bandwidth speed cap), unlimited bandwidth and server switching, which allows for limitless surfing, downloading large files, as well as streaming HD videos through the VPN (try any of this with a free provider and you’ll see the difference in no time). As a paying customer, you also receive uninterrupted VPN services anywhere in the world and you gain access to technical support that is ready to answer all your questions 24/7. But all of this is trivial compared to the most important issue – security. Paid VPN providers will guarantee 100% that your browsing will remain as anonymous and secure as humanly possible. The whole point of using VPN servers is to give fake leads to the Internet so that your browsing cannot be traced back to you. If a VPN provider is willing to sell your information to the highest bidder, you’re not browsing anonymously at all. The good news is that you don’t have to spend a lot of money to receive excellent VPN service. Even some of the cheapest VPN providers out there offer both speed and safety, allowing for maximum anonymity at affordable prices. 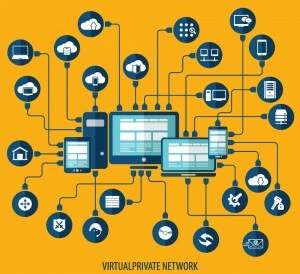 To sum it up – free VPN providers can offer the basic services while paid VPN providers give you the full package. If your intention is to visit a website restricted in your country no more than once or twice per month, by all means, take the free option. But if you plan on doing anything more than that, don’t be surprised if you take the free option and then fail to see the results you were hoping for. Remember, there’s no such thing as a free lunch.